The MIC2085 and MIC2086 are single channel positive voltage hot swap controllers designed to allow the safe insertion of boards into live system backplanes. 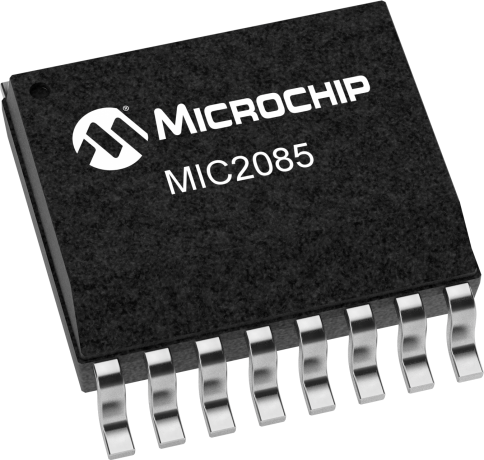 The MIC2085and MIC2086 are available in 16-pin and 20-pin QSOP packages, respectively. Using a few external components and by controlling the gate drive of an external N-Channel MOSFET device, the MIC2085/86 provide inrush current limiting and output voltage slew rate control in harsh, critical power supply environments. Additionally, a circuit breaker function will latch the output MOSFET off if the current limit threshold is exceeded for a programmed period of time. The devices’ array of features provide a simplified yet robust solution for many network applications in meeting the power supply regulation requirements and affords protection of critical downstream devices and components.